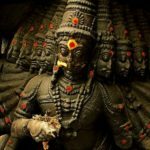 Why are there many Gods in Hinduism? Well, there are many reasons why people ask this question and there are many answers to the question. People ask this question out of genuine interest, genuine curiosity, genuine confusion and even out of meanness. So, here are the many answers for why are there many Gods in Hinduism. 1. There are ‘no-god’ religions, ‘one-god’ religions and ‘many-gods’ religions in this world. ‘Many-gods’ religions are as natural as the ‘no-god’ religions and ‘one-god’ religions. They just evolved, because God / Nature loves variety. As simple as that. 2. Let us turn this question around. If you are asking why there are multiple gods in Hinduism, you should also ask why there is only one-god in Abrahamic religions? Why? Why? Why only one God? 3. The ‘one-god’ religions truly do not have one-god. 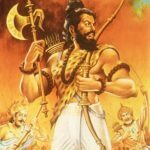 They had many gods and the followers of each God fought with the followers of other gods literally to establish their own superiority and they made their god as the ‘only available God’ and called it ‘One-God’. And the story doesn’t stop there. Whenever there is in-fighting, a new branch of the religion gets created. All the hundreds of branches have different notions of the same God and fight over their differences. Major branches actually kill and heap abusing each other. 4. The One-God religions are like political parties. The followers rally behind their God like captive voters of political parties follow their leaders. They want to argue that their God is ‘true’ God and everyone else’s God is ‘false’. How can there be ‘true’ or ‘false’ Gods, if there is only one God? 5. Hinduism is not like a political party. Hindu Gods do not ask for ‘acceptance’ or ‘belief’, just like Sun, who doesn’t need your or my acceptance or belief for his existence. There is no ‘true’ Sun or false ‘Sun’. Hinduism is about contemplating and understanding the oneness of Universe. It is called Brahman, Tat or Aum and by many other names. But you may ask, why so many names? Because all Natural objects have multiple names. Sun has many names in many languages. Water has many names in many languages. Only man-made objects have ‘one’ name. For example, Coke, a man-made name is same in every language. Toyota, a man-made entity, is the same in every language. The religions that have only one-God that goes by only one-name must have been man-made religions. 6. The Universe is big. It is not only big in size, but also in its aspects and qualities. Each aspect is deep in itself to understand. For example, the universe regenerates itself continuously. That is one aspect. The universe maintains itself in a state of equilibrium. That is another aspect. The universe gives raise to a diverse set of organisms. That is yet another aspect. The universe has energy and it moves. That is one more aspect. But also the universe stays as is for long time. That is another aspect. Each God of Hinduism represents one aspect of the Universe. 7. Since our minds are small, we cannot hold the full image of God. Therefore the god you see and the god your brother or sister sees is going to be different. In stead of fighting over and branch out into multiple religions and denominations, Hinduism says that your image of God is what you can relate to, so go with it. And similarly your brother’s image of God is what he can relate to, so he will have to go with it. You have no business about your brother’s image of God and your brother has no business about your image of God. You can leave it at that. But if you are a friendly person and if you value your brother as much as you value yourself, you would be curious about his image of god and he would be curious about your image of god. When you exchange each other’s image of God, you will both see a ‘bigger picture’ of God. So for the sake comfort, keep your image of God. For the sake of growing, gain a better image of God, by exchanging your ideas of God with your brother. Once you keep growing and your brother keeps growing, both of your images converge to the same infinite god. No need to fight. Just keep all the Gods. This is the most beautiful and open concept about gods that mankind has ever created. It is free for you to take. What are you waiting for ? 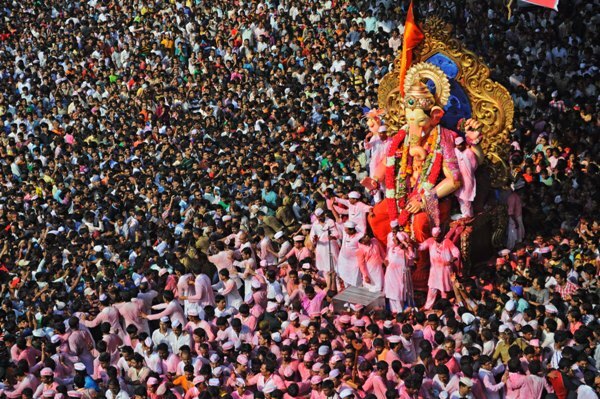 Do read our post: Are there really 330 million Gods in hinduism?